Like all the leading banks, St George Bank offers a wide range of currency related products and services to its customers. If you are a customer of St George and use internet banking to transfer money overseas then you will be interested to learn how St George Bank exchange rates compare to other providers. 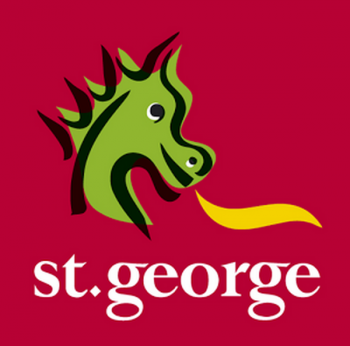 Foreign Transfers - How do St George Bank Exchange Rates & Fees Compare? Let’s use the above chart to learn more about currency, transaction type, exchange rates and their calculation under various situations. Let’s assume that you are heading to the US and would like to know about the exchange rates of the Dollar (USD). Although there would be a long list of exchange rates across various currencies, in this case, you should look at only the exchange rates for the USD. Likewise, if you are travelling to Italy, France, or any other European Country, you’ll need to find the exchange rates of the Euro. You should check the exchange rates of the GBP if you are travelling to the UK. In short, you need to look at the exchange rates of your host country only. The next determinant of the exchange value is the type of transaction – that is, whether you are buying or selling the foreign currency. If you are travelling abroad, you’ll invariably need to buy some foreign currency. Conversely, if you have just returned from a foreign trip, with some spare foreign currency, you will have to sell the same. You can see that the sample chart above carries the details of both purchase and sale price of several currencies (usually the banks will list the exchange rates of all the currencies they deal with). If you are travelling overseas, you’ll need foreign currency and hence, you should check the details under the columns marked as ‘Bank Sells’. The bank will offer you these rates when you purchase the desired foreign currency from them. 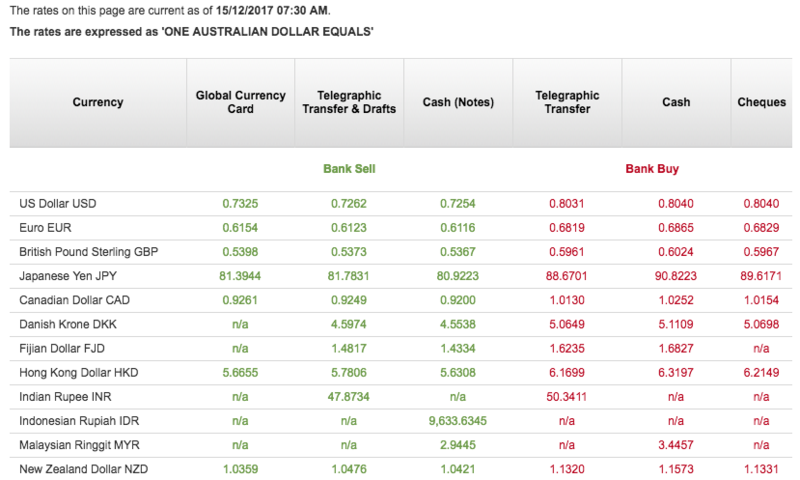 If you wish to sell foreign currency or if you wish to receive money from overseas, you should look at the figures under the columns marked as ‘Bank Buys’. The bank will buy the foreign currency from you for the rates quoted. Now that you have understood the buying and selling rates, you’ll have to choose the type of product to suit your need. As St George Bank exchange rates differ slightly across the products, the amount you receive in exchange also varies accordingly. Use the table for the finding the exchange rates for various products and choose the best combination you wish. The term Telegraphic Transfer refers to the exchange rate that you’ll receive if you make a St George bank transfer to or from another bank account overseas. The term “Travel Card/Chq” refers to the exchange rate you’ll receive if you load a St George Travel Card to meet your foreign travel needs. “Notes/Cash” refer to the exchange rate you’ll receive if you are to buy or sell currency in hard cash through the bank’s branch. Please remember that exchange rates at other places like the airport would be different. A common question heard during the purchase of travel money is – How much Currency will your money buy? Australian Dollars in hand multiplied by the exchange rate of notes = the amount of money you will receive in foreign currency. Another frequent question is – What will be the cost to buy a certain amount of currency? What would it cost to send a certain amount of currency overseas? The calculation to send a fixed amount of money overseas is the same as buying travel money (AUD Cost = Amount of Currency You Want to Buy/Exchange Rate). Here, you should remember that the exchange rates would slightly differ between notes and IMT/TT. Thus, a simple calculation can help you find the exchange rates for the foreign currency required. A main point to remember is that there would be slight rate variations according to the type of product you wish to buy/sell. Also, not all products and services might be available across all currencies. Furthermore, rates will be different at St George Foreign Exchange centres. Use our calculators to compare St George bank exchange rates to FX specialists. Quickly calculate how much you could save on your next foreign transfer or travel money purchase. you have good rates, but why can’t I purchase Euros on line? You competitors offer this service!